A great amount of The Hidden World is focused on the relationship between Hiccup and Toothless. While these two have obviously been the star of the show since the beginning, their relationship almost always felt like a C-story at best. 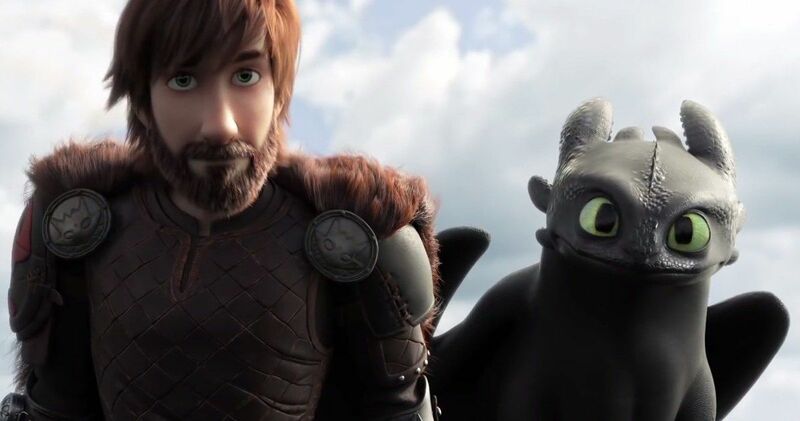 This is part of why How To Train Your Dragon 2 never felt as great as the first one – it was much more focused on Hiccup and his relationship with his parents, leaving Toothless as an adorable sidekick with very little character development. The Hidden World doesn’t make this mistake. While the movie still has a villain who imposes a powerful threat, the true climax of the movie involves solely Hiccup and Toothless. How To Train Your Dragon: The Hidden World follows suit, blowing both of the previous movies out of the water with its visuals. While it would obviously outshine the first How To Train Your Dragon, considering that the 2010 CGI of the first movie feels incredibly dated at this point, it’s clear from beginning to end that The Hidden World takes a number of more creative liberties with how things look. Whereas many of the scenes in the first movie had a gray and foggy background, the third movie has spectacular settings to keep the movie visually entertaining, from a burning ship to some beautiful islands to the hidden world itself.